The Patch Works' proprietor, Joy, taught patchwork quilting at Adult Education in the early 1980's. The Patch Works commenced trading in 1984 and we have traded from our Patrick Street location in Hobart Tasmania continuously since then. The Patch Works offers a large range of patchwork fabric. 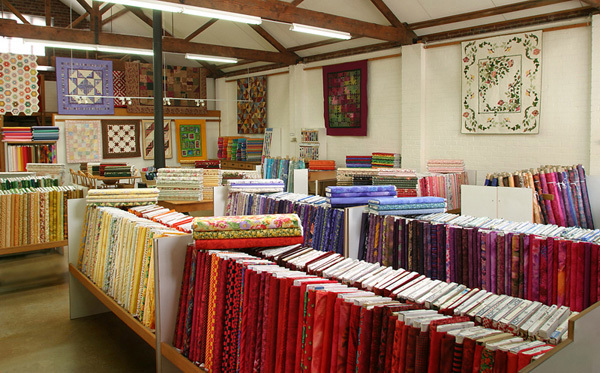 We have fabric to suit traditional patchwork quilting and contemporary quilting including many batiks and Kaffe Fassett fabrics. The Patch Works stocks batting, cotton thread, rotary cutters, matts, rulers, quilting hoops, patterns and other quilting essentials. Classes are offered throughout the year. We have three terms per year of classes ranging from beginner to advanced. See our class list here. Durning normal business hours we can be contacted by phone or at anytime by e-mail.